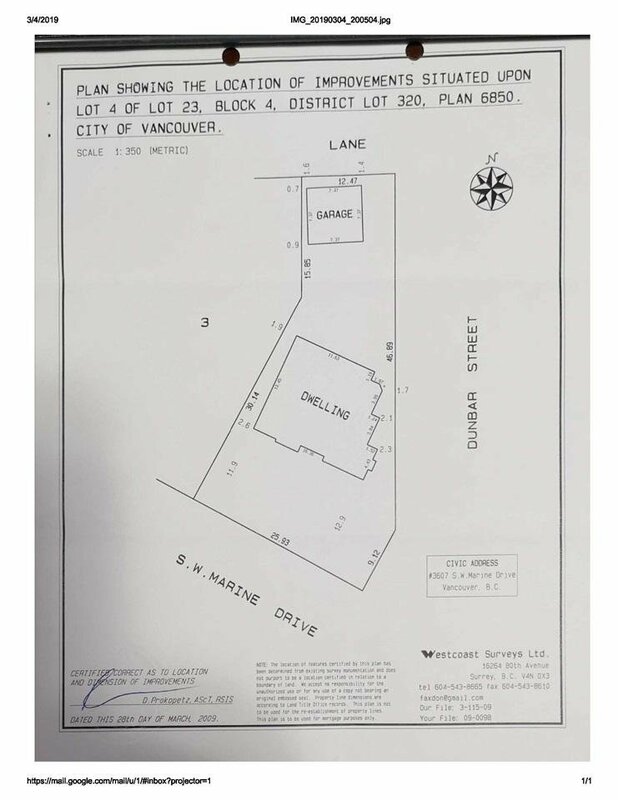 Land Assembly - 3607 & 3637 SW Marine Dr. This is a south facing premium development site. City of Vancouver may consider this property under the Affordable Housing Choices Interim Rezoning Policy. Next door 3637 SW Marine also on MLS. 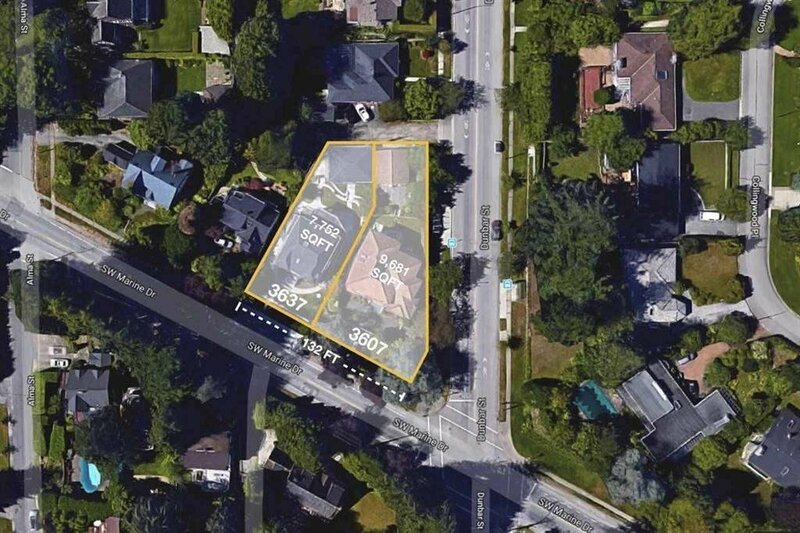 Well maintained 3 level newer family home on over 9600 sq ft of prime corner lot on S.W.Marine Drive & Dunbar! 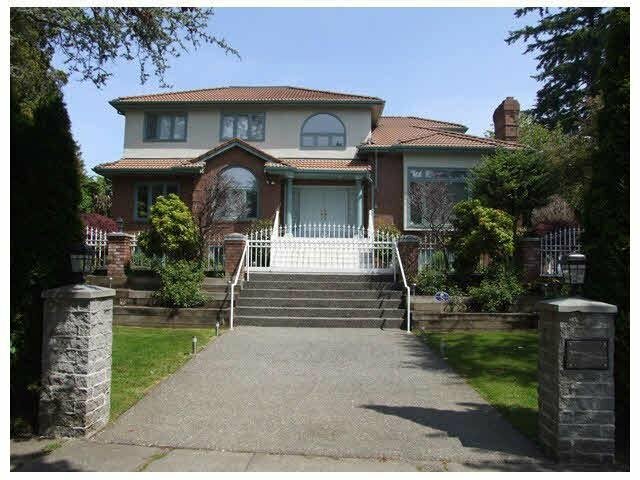 This house is in move in condition features over 5600sq ft of finished floor area with spacious rooms though-out this 8 bedrooms and 7 bathrooms beauty All measurements are to be independently verified by the buyer if important.